Malaysia Open 2019: PV Sindhu put up a full-of-errors performance against Korea's Sung Ji Hyun in the Round of 16 to lose 18-21, 7-21 in just 43 minutes. PV Sindhu was knocked out of the Malaysia Open 2019 in the pre-quarter-finals after she lost to Korea's Sung Ji Hyun in straight games in Kuala Lumpur on Thursday. 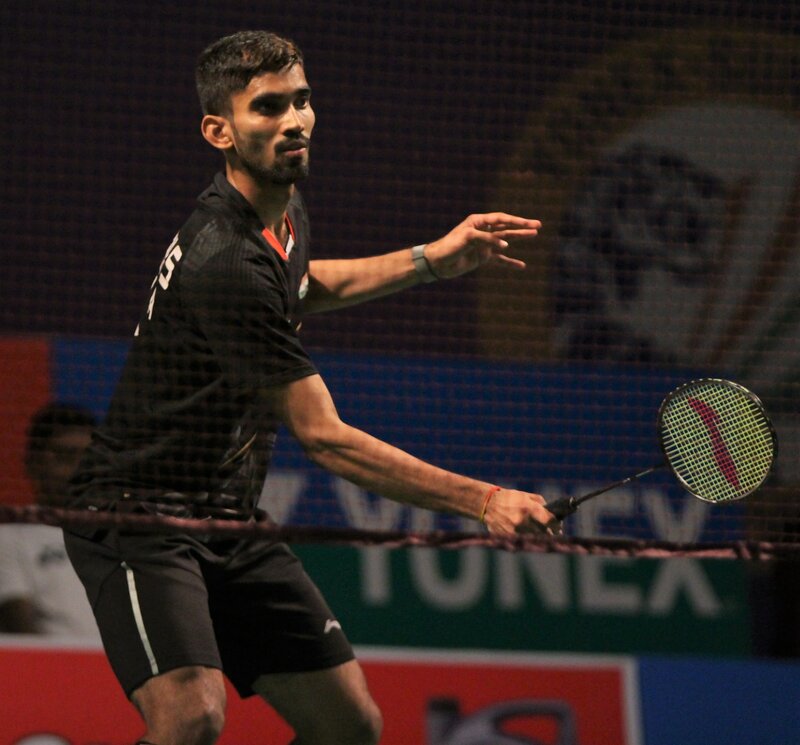 On the other hand, Kidambi Srikanth cruised to the quarter-finals of the tournament with an 11-21, 11-21 win over Thailand's Khosit Phetpradab. Srikanth will next take on China's reigning Olympic champion Chen Long, who earlier beat Thailand's Kantaphon Wangcharoen 22-20, 21-15. Sindhu, who lost to China's He Bingjiao in the semi-final of India Open last week, was stopped in her tracks by Sung Ji 18-21, 7-21, who advanced to the quarter-finals in just 43 minutes. This was Sindhu's third straight loss to Sung Ji and their head-to-head record now stands equal at 8-8. Sindhu last lost to Sung Ji in three games at the All England Championships in March. Sindhu started the match well by showing some good mix of attack and defence. Sindhu was sticking to her lines, being patient in her play and built points to go into the break with an 11-9 advantage. However, by then Sung Ji had grown into the game. Just like All England Championships, the Korean played around Sindhu and make her go impatient with her play. Sindhu it seemed had not taken her lessons from Birmingham at all as she erred her lengths and kept making horrible line judgements. Sung Ji took a 19-16 lead but Sindhu fought back to reduce it to 19-18. However, another line judgement error in the next rally meant Sung Ji had the game point and took the first game. The second game started in a worse position as Sindhu's body language dropped down completely. Sindhu could not cut down her errors at all and tamely gave away the match to the Sung Ji. Earlier, Pranaav Jerry Chopra-N Sikki Reddy lost their mixed doubles match 21-15, 17-21, 13-21 to Malaysian pair of Tan Kian Meng-Lai Pei Jing. In absolute contrast to Sindhu's lacklustre performance on Court 1, Kidambi Srikanth was at his attacking best against Phetpradab on Court 3. Srikanth, who is the eighth seed in the tournament, advanced ahead on a day when Indonesia's Jonatan Christie pulled off a massive upset against world No.1 Kento Momota. Srikanth's performance on Thursday was absolutely true to his stature. He did not let Phetpradab settle and was on the front foot from the word go. Some deception, some booming smashes and some patient all-court play - Srikanth came out of the Round of 16 with flying colours. In the quarter-finals, Srikanth has an uphill battle against Chen Long, who holds a 5-1 head-to-head advantage over Srikanth. However, the things that can give confidence to Srikanth is that Chen Long has not been in the best of his forms and that the last time they met at the Australian Open 2017, Srikanth won the battle. During that tournament, Srikanth had defeated Chen Long and eventually won the title.